When it comes to choosing a keyboard, there are no fashion statements. The top digital piano brands are all about function – that’s carefully quality-controlled technological excellence wrapped up in a product that has been honed through years of iterations and tweaks. As we strive for authenticity in both sound and touch, so it becomes more difficult and expensive for brands to meet our expectations as customers, to the point where a bad choice can leave you seriously out of pocket, saddled with a product that doesn’t feel natural or sound high-quality. Of course, you then run the risk of developing bad finger technique to compensate for a poor action. There are certainly digital piano brands to avoid – more on that later. But today we will focus on the crème de la crème – the most reliable and trustworthy digital piano brands out there. Let’s take a look at what the market has to offer. The idea of pianos being electric has been around since the 1920s, but it wasn’t until the late 50s when they truly became popular. Artists like Ray Charles started digitally altering sounds and the concept of a lighter, more diverse alternative to a standard upright or grand was really born. From then up until the 90s, the digital piano was a different instrument – a recognizably simulated sound, ready-made for synth and funk. But as things changed, companies started being able to very closely replicate the sound of an acoustic instrument and the demand for straight-up piano imitations grew. Fast forward to the present day and the amount of realism you get from a digital piano is exceptional – from the sound right down to the actual feel of the keys. And with that option sitting alongside specialist synth models, 161,000 digital pianos were sold in the US alone in 2017. But technological advances have got us to such a point now where you can actually have both – an instrument that looks, sounds and feels like a piano, while being digitally programmed to offer a wide range of sounds, connectivity and recording options, all in one. And of course, as more companies pick up on this, competition increases and drives the price of entry level models down. There are also “true” hybrids now available; real acoustic pianos with strings and mechanisms like traditional pianos, but with embedded digital functionality. After doing some basic research on digital pianos and their features, you’ll quickly realize that there’re dozens of different brands available on the market, and some of them you’ve probably never even heard of. Do all digital piano brands offer the same level of quality and reliability? Of course, not. In fact, there are some brands you should avoid at all costs. To make it easier for you we’ll try cover all the popular keyboard brands and talk about their strengths and weaknesses. We’ll start with 6 most reliable and trustworthy brands that we recommend based on our and other people’s experience, and then we’ll move on to brands that are better be avoided (with some exceptions). To get a bird’s eye view of these brands and their product lines, take a look at the comparison table below. Don't get it confused with the country of manufacturing! Most digital pianos and keyboards nowadays are made in China, Indonesia, and Malaysia. Some higher-end models are made in Japan or Europe, but it's pretty rare. The year when the company entered the digital piano market. Key areas the company is known for. Portable Keyboards (A.k.a portable arrangers, portable arranger keyboards) are entry-level instruments that usually come with 49, 61, or 73 non-weighted or semi-weighted keys, hundreds of sounds, styles, recording, and interactive features. 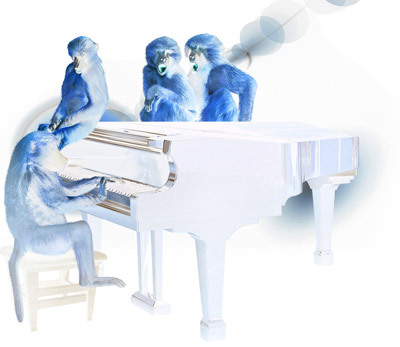 They don't aim to replace an acoustic piano but rather introduce you to the world of music. They're most popular among beginners and kids in particular. Unlike portable keyboards, portable digital pianos (a.k.a. slab pianos) come with 88 fully-weighted hammer-action keys, which mimic the action of an acoustic piano, and use high-quality piano samples. They rarely have tons of built-in tones, styles, and other so-called "bells and whistles" as their main goal is to sound and feel as close as possible to a real acoustic piano. Home Digital Pianos (a.k.a. Console DPs) are very similar to portable DPs with regard to their main concept, which is to provide a realistic piano playing experience (sound and touch being the most important). The main difference, though, is that Home DPs have a furniture cabinet design and come with 3 piano pedals, which gives them a more acoustic-like look. Higher-end Home Digital Pianos usually incorporate a more sophisticated hammer action, higher quality samples (with some modeled elements), multi-speaker sound system, and fancier, more acoustic-like cabinet. Hybrid Digital Pianos are the most expensive type of digital pianos. They usually have highest quality samples, sophisticated sound system, and action that fully replicates the action of an acoustic piano. Hybrid pianos come the closest (in all aspects) to real acoustic pianos. Stage Pianos are very similar to Portable DPs but the main difference is that they usually don't have any built-in speakers. Often, they're also lighter, and more compact, which makes them even easier to move around. Portable DPs are often used as Stage Pianos as well. Synthesizers are widely used in complex sound design and music production. They offer extensive options that allow you to synthesize, fine-tune, and control the sound in real time. Music Workstations/Synth Workstations have much more options, and therefore more universal. They allow you to do basically anything related to music production, starting from sound design, and ending with mixing and recording. Arranger workstations are similar to other types of workstations but come with additional features for songwriters, composers, and solo performers. In particular, arrangers usually have hundreds of accompaniment styles that will back up your performance with various instruments, making you sound like a full band. Compared to synth workstations, arranger workstations have fewer options for sound synthesis and editing. There is no discussion of the best digital piano manufacturers in the world without Yamaha. They are the most popular, the oldest and have the largest, most versatile range out there. In fact, you have to go back to 1887 to find their first organ, built by Torakusu Yamaha himself. A Japanese company, their acoustic and digital pianos are made in enormous factories across Japan, China, and Indonesia before being exported worldwide. In 2017, the company’s total revenue across all its products was over $3 billion. The secret to Yamaha’s success stems from their foundations in acoustic pianos. Their upright and grands are used everywhere from schools to concert halls and it is this attention to the mechanics of a “real” piano which has served them in such good stead when creating a digital sound. Central to this is their piano-like graded hammer action, which is present in all their digital pianos, albeit at different levels of quality. From GHS in their entry-level range, to GH3X in some of the Clavinovas, right the way up to the state-of-the-art GrandTouch wooden action, Yamaha place a great deal of focus on touch – and it shows. With such a great range of options and prices, it’s no surprise that they commanded a 32.6% market share in 2016. The affordable, entry-level PSR-E range is immensely popular with kids and beginners, with some models available for less than $200. 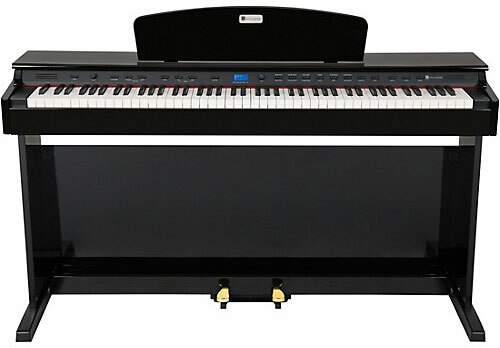 Compare this to the world-renowned Clavinova range – one of the upright CLP models might set you up a couple of thousand dollars, but a digital grand like the incredible CVP-709GP is more like $15,000. With their background in music technology, Yamaha also offer excellent stage and studio pianos. Their extremely popular compact P series models start at $400, but there are models with more functions and better realism, available all the way up the price range. As with all of Yamaha’s digital pianos, they are seriously durable and reliable – one of the best features of the brand. The Yamaha >3-year warranty covers the majority of their brands, but the Clavinova range benefits from 5 years, which reflects the engineering confidence that Yamaha have in the series. The pro-standard PSR-S models are higher-end, but fully-focused arranger workstations, rather than entry-level keyboards. Far more popular though is the Yamaha Montage range, which competes with the well-known Korg KRONOS and Nord Stage 3 keyboards. The main features are 6347 waveforms (twice as much compared to the MOXF series), over 10 000 arpeggios, Seamless Switching Sound (SSS) technology, and a 16-track MIDI sequencer. Meanwhile, they are also at the forefront of the hybrid era, with their TransAcoustic pianos being true acoustic models with digital features such as headphone inputs and volume control, as well as the ability to replicate different grand piano models through an app. Across their styles and ranges though, Yamaha products are used and endorsed by well-known musicians and studios worldwide. From Stevie Wonder and Justin Timberlake in the mainstream world to Alberto Pizzo and HJ Lim on the classical side, the instruments are well-represented and highly regarded. Another major Japanese multinational, Casio are probably more well-known to you for watches, calculators and cameras than they are for digital pianos. However, from that solid digital base has arisen one of the best brands out there, especially seeing as they’ve only really made a name for themselves in the market over the last 15-20 years. While the company itself has been running from 1946, and the first marketable keyboard – the Casitone 201 – was released back in 1980, it was the launch of the Privia range in 2003 that really saw Casio make its mark on the industry. Lightweight, compact, but affordable, they quickly positioned themselves slightly differently in the market to giants such as Yamaha. Their pianos are well-known as being very budget-friendly and geared towards beginners and amateurs. However, they don’t lag behind on technology, and some of the features on their pianos are only available on much higher-priced models of competitors. Their Celviano range, for example, is a direct competitor to the Yamaha Clavinova, with the top-notch AiR Grand Sound Source and multi-speaker acoustic sound simulation, but for over a thousand dollars cheaper all the way up the range. Granted, you don’t get the same quality of action as with a Clavinova, as they use the same action in the Celviano range as they do in the Privia, but it’s a good choice if you’re on a tight budget. Generally speaking though, there isn’t a great deal outside the Celviano range to interest a pro. This means you don’t really see Casio models represented on stages or in studios, meaning that they don’t get a lot of airtime. However, in keeping with their support for young musician programs through the Grammy Foundation, they work with several contemporary artists, including Earth Wind & Fire’s Larry Dunn and singer-songwriter Rachel Sage. Of course, the flip side to this is that their prices remain some of the most competitive out there. The warranties are also competitive, with 3 years on the Privia range and 5 on the Celvianos standing out from the crowd (their regular warranty offer is 12 months). Because Casio are so focused on youngsters and beginners, the sound modes and interfaces are all exceptionally user-friendly. While you won’t find a massive range of options and modulations available, these are instantly accessible pianos that are great for building confidence and knowledge of digital piano technology. And while the compact buy room-filling PX series will cost between $400 for a PX-160 and $1200 for a studio-grade PX-560, the CDP pianos – their targeted beginner range are much cheaper, despite having a basic weighted action and excellent speakers. The Privia line undoubtedly remains the most popular from Casio’s arsenal. It’s very versatile includes digital pianos of different types (console, portable) and price ranges. Unlike Yamaha and Casio, Roland’s main focus is music. Founded in Japan in Osaka in 1972, the company still operates out of Japan and their keyboards are considered to be among the most important digital musical products ever released in terms of driving forward the market. What you can expect from Roland is 40 years’ worth of honed digital piano. Their products are exceptionally high-quality throughout their ranges and as they only focus on digital models, you could argue that they are better placed than any other company on this list to be industry pioneers. The 3D video tour (drag your mouse to get a 360° view) below will walk you through all the ranges of musical instruments that Roland have been creating and improving over the years. As you would expect then, their instrumental range is extensive; from stage pianos to console digitals and portable models, their branding is recognizable and their products are built to last. The RD stage series is probably the toughest, most durable stage option out there. In fact, Roland are so confident about their products, that the HP, LX, HPi, DP, KF and GP models all benefit from an astonishing 10-year warranty, that represents the best on the market. 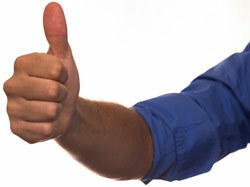 The corresponding product support is excellent too, with regular system updates and excellent terms on repair. And their official sites are full of tutorials to help you get to grips with your new instrument. Roland have also made substantial strides forward on their key actions. 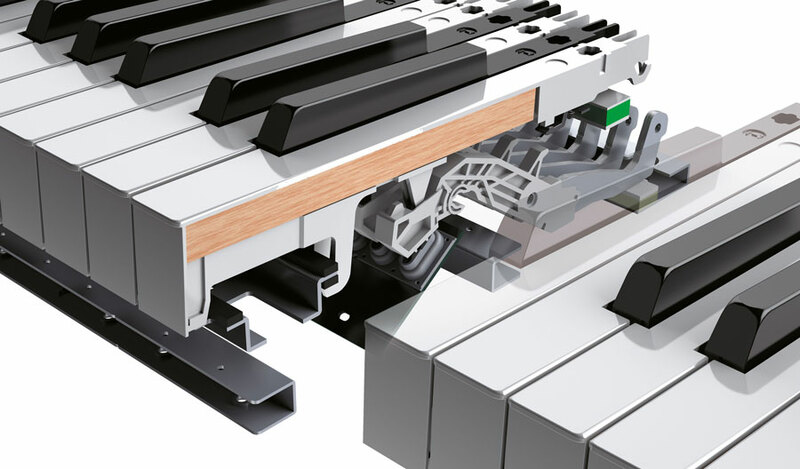 The PHA-4 Concert action includes keys that simulate ivory, preventing your fingers from slipping off the keys, while their flagship wood hybrid action, PHA-50, is available on the DP and HP ranges, as well as the FP-90 (flagship of the portable FP series) and the RD-2000 stage piano. The centers of the keys are made from real wood, with the ivory feel technology of PHA-4 intact on the outside. Along with this is their pedal system, which features the ability to reprogram the soft and sostenuto pedals to different weights and functions. While there is no doubting the quality of the Roland brand though, their products are expensive. In the portable range, the FP-90 is nearly $1900; the equivalent Yamaha P series is only $1499. The top-of-the-range V-Piano grand is just shy of $20,000. Bearing in mind you’re looking at the top of the range though, this isn’t really a surprise. But if you’re looking at the affordable and very popular RP (home) and FP (portable) series, you’ll be able to benefit from their SuperNATURAL technology, which focuses on natural tone alteration depending on velocity, and note decay, for a more real sound as well as the PHA-4 Standard keyboard with Ivory touch keys and Escapement feature, which is considered one of the best key actions in its class. If you want to go even more focused than Roland, then Kawai are pure piano specialists – both acoustic and digital. They were founded in 1927 with its headquarters in Hamamatsu, Japan – the same city that Roland now have their own HQ. 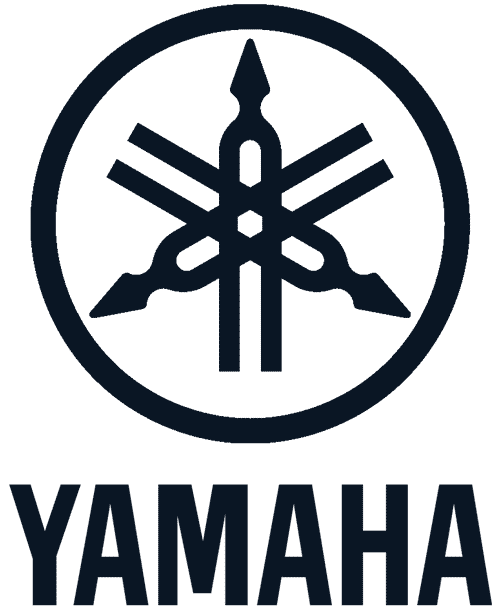 Despite being less well-known globally than Yamaha or Roland though, they have expanded massively in recent years, into Russia, America and China. Their products are seriously good too, with their upright CN series winning the MMR Dealers’ Choice “Home Digital Piano Line of the Year” in 2014 and their subsequent products excelling at the same awards every year since. Kawai are an expensive brand, but they know it and they market themselves as producing professional instruments for professional musicians. Their MP11SE stage piano offers a range of digital customization features without compromising on the real sound, but you’ll pay somewhere around three grands for it. Meanwhile, the lower-level portables – the ES110 and the pro-grade ES8 (a competitor of the Yamaha P-515 or the Roland FP-90 and arguably the most realistic portable digital piano on the market today), cost around $700 and $2000 respectively. Because of this, if you’re going to buy Kawai – and there are several compelling reasons to do so – it makes sense to go for one of their higher-end models. The CN-37 is their best middle-range digital, with 256-note polyphony, 352 sounds and a stunning finish, for just under $3000. Meanwhile, the CP series (Concert Piano) focuses on powerful output without compromising sound quality and their grand edition is possibly the most spec-heavy digital grand on the market today; but it will cost you well in excess of $20,000. On the lower end of the spectrum, Kawai has also prepared a bunch of great instruments that are highly competitive and popular in their price ranges, the ES110 (portable) and KDP110 (console) being among them. The main jewels in the Kawai crown are sound and touch – arguably the two most important areas. The lower register across the ranges is excellent, with powerful output and harmonic imaging piano sound to boot. 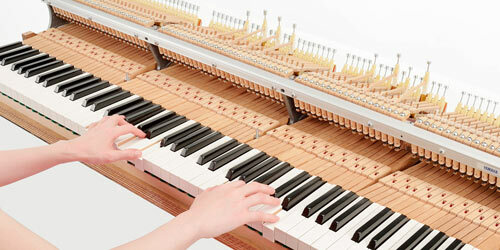 The Grand Feel (GF) keys are wooden and operate on the same pivot system as Kawai’s uprights, while the plastic RHIII action operates with triple sensor key action. No matter which Kawai piano you’re looking at, both the action and sound will be near or at the top of the available range. On the hybrid side of things, Kawai offers the magnificent NOVUS NV10 Hybrid Digital Piano. The NV10 individually weights every single key and is a complete recreation of an acoustic piano action, using precision optical sensors as well as a hybrid damper mechanism that claims to be unique on the market. For under $10,000, that represents one of the best-priced high-end pianos that Kawai offer too. Founded in Tokyo in 1962, Korg – formerly known as Keio Electronic Laboratories – are a digital only producer of pianos, pedals, recording equipment, synthesizers and guitars. Their main focus is digital technology, and this is reflected in their product range, which is workstation and synth-heavy. In fact, they are one of the most used brands worldwide for studio-based workstations and the most recognizable, along with Nord. Their entry into the digital piano market is relatively recent and certainly competitive, although lacking in a high-end range. The G1 Air, for example – their flagship digital upright – retails for about $1600. And while it’s not as feature-heavy as more expensive models from Yamaha, Roland or Kawai, the RH3 hammer action is very competitive with other brands and the digital know-how that they have honed from their tech-heavy focus over the years is very much present. The main draw for Korg’s digital piano range is sound. Their new models, such as the B1SP, benefit from 50w speakers and Motional Feedback Technology, which focuses on making the low range of the keyboard distortion-free. Meanwhile, the G1 Air produces astonishing sound considering its size, going full blooded in its attempt to recreate stage grands despite being so relatively cheap compared with its competitors. Because they are so sound-focused, you also get a range of input and outputs to cater for pretty much any situation. And design-wise, they’re also quite innovative. The edges of their uprights are distinctively curved and instead of having sideboards as supports, they have separate front legs, which is unlike any of their competitors. This ultimately translates to a more lightweight product, but doesn’t make them less durable. In fact, Korg focus a lot of their development on the shells in which they keep their precious technology, simply because it’s often more intricate than the competition when you start to look at their workstation series. Over to the world of stage pianos though and you find Korg in its element. The Kronos and Kronos LS are used all over the world, with keyboardists from superstar bands like Queen displaying the brand in massive stadia. The joystick and touch-controlled screens offer an enormous range of live and recorded options, but the quality of the actual keyboard itself isn’t sacrificed in any way. It doesn’t’ break the bank either, considering that you’re effectively buying a portable studio. The Kronos will set you back around $3000-$4000 depending on the configuration, while the Krome keyboards are even more affordable. Another area where Korg excels at is pro-grade arranger workstations, and in particular, their Pa series, which could become your favorite songwriting and performance partner, providing you with the highest quality sounds and styles for virtually any genre. As far as this list is concerned, you may as well consider Nord to be the opposite of Casio. The only company on this list that isn’t Japanese, the Swedish company focus on high-end, expensive professional or studio-only models, with features and quality to match. The company has been running since 1983 under the name Clavia Digital Musical Instruments and has the smallest product range on this list; focusing purely on synthesizers and stage pianos. The distinctive red finish that adorns the shells of their products makes them perhaps the most recognizable brand of stage keyboard on the market. When you think Nord, think tech. Even on their stage piano models, the options are dizzying in their quantity. While you will get graded hammer action keys on the Nord Piano 4, for example, it’s a third-party designed action – Fatar – rather than one that has been developed in-house, as you get with their competitors. That’s not to say it isn’t excellent – it is, but part of the reason you don’t see Nords outside of the stage and studio environments so much is that they aren’t focused on appeasing the classical pianist who has made a crossover into digital stage performance. These are very much instruments of the technically-minded – people with significant synth expertise and a real interest in live digital performance. In fact, the array of knobs and buttons across their range covers almost every live eventuality you can think of; looping, sampling, you name it. Their other stage models – the Electro and the Stage – are similarly kitted out and similarly expensive. The Electro 6D 61 is the cheapest model at just above $2000, but the Piano and Stage models hit the $3000 models and go up from there, depending on how you want them customized. In terms of synthesizers, the Nord Lead 4 is certainly a market leader, offering wavetable synthesis, multiple stacking and hard and soft synthesis. It is one of the more expensive on the market though. The warranty for Nord products depends from distributor to distributor, but the company has built up a reputation for being the number 1 in terms of quality control. And their list of artists is seemingly endless, albeit largely populated by session and touring musicians, showing their focus on the modern demands of touring and studio work. And considering the relative newness of their brand and particularly their focus on dedicated stage pianos, Nord have done an exceptional job at becoming genuine competition to heavyweights such as Roland and Yamaha. On the face of it, you might have your head turned by Williams, who produce great-looking instruments with similar stats on paper to their competitors, but at a fraction of the price. The Legato III – their beginner model – retails for well under $500, while the upright digital, the Overture 2, is around $700; But cost is where the positives end. The bottom line is that these pianos don’t have the mechanics to back up their aesthetics. The range and quality of sampling is quite disappointing and the speakers are powerful enough but sound quality isn’t great. The main issues lie with playability though. The touch-sensitive keys feel like they belong in the dark ages compared with the advanced hammer action offerings from the big names, and the lack of dynamic control is very worrying. It feels like you’re playing an old table-top from 30 years ago, no matter how high up their product range you go. The brand itself is owned by Guitar Center, but the instruments are manufactured by an outsource company in China. In terms of pricing, Artesia are a similar brand to Williams, and they’re obviously aiming at the beginner range more than seasoned pros. If you’re a Yamaha or Kawai aficionado, you’ll be astounded to note that you can pick up their digital grand – the AG-28 – for just over $1500. The bottom line though, is that it isn’t worth the admittedly massive saving. The build quality on the Artesia instruments is average to say the least – they’re saving on parts left, right and center. The PA table-top series, aimed at beginners, feel like they couldn’t withstand any kind of impact. And mechanically, everything lags light years behind the big boys. The action is springy and mechanical, the sound is thin and pixelated, and the programing options are far too sparse. These guys go a long way toward proving the old adage that you get what you pay for. It’s not just these three, though. There are several other minor brands out there that aren’t worth your money. Omega and Galileo are two such examples. A potential banana skin though is Suzuki. They have built themselves into a world-famous piano brand in the far East, with their methods and their keyboards in thousands upon thousands of schools. The bottom line though, is that their products just aren’t up to scratch. There’re two brands that I couldn’t include in either of the categories above. I don’t necessarily “not recommend” these brands but in many cases there are just better options out there available from other brands. Rewind back to the 1980s, and the Kurtzweil brand was the market leader. An unlikely partnership between Stevie Wonder and inventor Raymond Kurtzweil – who developed reading machines for the blind – saw them rise to the top thanks to the best replication of acoustic piano sound on the market by far. Now, the sound that these machines generate is still pretty good, and they undoubtedly win the price war with their competitors (their main Clavinova competitor, the M110, only costs around $1200). However, they are let down by the action on their keyboards, which is clunky, heavy and reminiscent of the plastic keyboards of yesteryear. This has to be partly down to their decision to sell the brand to Young Chang, which was then acquired by Hyundai – I don’t think there is the same level of focus and innovation anymore. In fact, to make it worth your while considering one of Kurzweil’s instruments, you need to be looking at their top end. The CUP-320 – priced well above $2000 – boasts 100w of speaker output, an excellent display and lots of customization options. For their flagship stage piano – Kurzweil Forte with 16GB of sounds and 23 programmable controllers – you’ll pay even more money. The issue with the touch is less pronounced with these models, but if I was spending over $2000, I’d still want more. Alesis is another well-established brand that has been producing electronic musical instruments and audio equipment for over 30 years. Nowadays they mostly specialize in making drum kits, multipads, MIDI-keyboards, and recording equipment, and they’re actually pretty good at what they’re doing. However, if you’re looking for a high-quality digital piano, I’d recommend checking out the major brands first (the ones mentioned above). Alesis just doesn’t have that much experience and know-how when it comes to pianos. Their main focus is geared towards music makers (studio use) rather than piano players who are looking for a natural, nuanced piano sound and realistic key action. However, if you’re just starting out, an Alesis keyboard might be a good cost-efficient option that will get you off the ground playing the piano. One of the best options models in their arsenal I can recommend is the Alesis Recital Pro, which unlike many other Alesis keyboards, features 88 fully-weighted keys and offers pretty decent piano tones. It’s a big market out there, but that doesn’t mean you have to get stuck with something you don’t want. The brands we’ve looked at above offer excellent ranges that cater for anyone – from beginners to world-renowned pros, with all the ability levels and price points in between. Ultimately, you want to choose a piano that matches your ability level first and foremost, but durability, reliability and warranty are all important no matter who you are or your reason for buying. On the technology side, touch is everything if you’re coming from the acoustic world. A good company should pay attention to how a piano feels, as well as its integration with modern technology. And on that side, it’s important to make sure that your piano is future-proof; it should have plenty of connectivity options to ensure that it won’t become obsolete with the natural advances of global technology. So, over to you. Do you have any experiences with any of these brands – good or bad – that you’d like to share. What makes and models work for you? Let us know in the comments and let’s get a conversation going. And of course, if you’ve found this article useful, share it so that other people can get the benefit! Thanks for reading!